Joel and Ethan Cohen’s movie that is in theaters now, Inside Llewyn Davis, sets much of its story around the Greenwich Village folk scene of 1961. From 1946-1979, over on 140 West Fourth Street, the African American jewelry designer, Art Smith (American, born in Cuba, 1917-1982), fashioned modernist pieces from simple metals that achieved new expressions in shape and form. Smith’s work was included in the 1969 exhibition, Objects: USA, which featured three hundred objects that Lee Nordness selected for S.C. Johnson & Son, Inc. Smith was also included in the Museum of Modern Art’s 1946 exhibition, Modern Jewelry Design; the Walker Art Center’s 1948 exhibition, Modern Jewelry under Fifty Dollars; and a 1969 solo exhibition at New York’s Museum of Contemporary Crafts (now the Museum of Art and Design). Greenwich Village neighbors were many of Smith’s clients. The bracelet and a pair of gold earrings by Smith were gifted to the Cooper-Hewitt by the famous preservationist, Margot Gayle, who was a longtime resident of Greenwich Village. 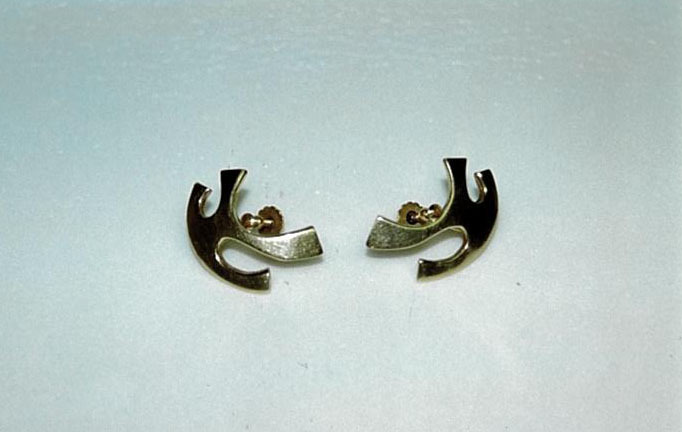 Smith made cufflinks for Duke Ellington, and was selected to create a brooch for Eleanor Roosevelt. Even a character from the Cohens’ movie could have stopped in. Abby Bangser is a M.A. candidate in the History of Decorative Arts and Design in the program offered jointly by the Cooper-Hewitt National Design Museum and Parsons the New School for Design. She is also the Head of the Americas Foundation of the Serpentine Galleries.